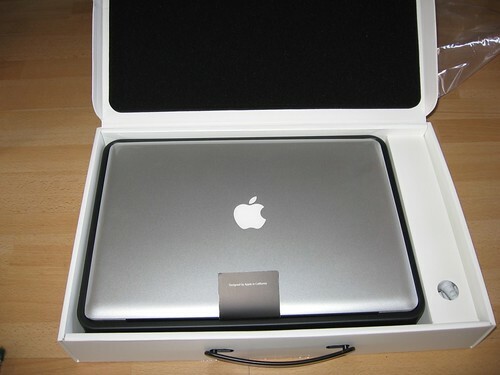 Yesterday my brand new MacBook Pro 15″ arrived. 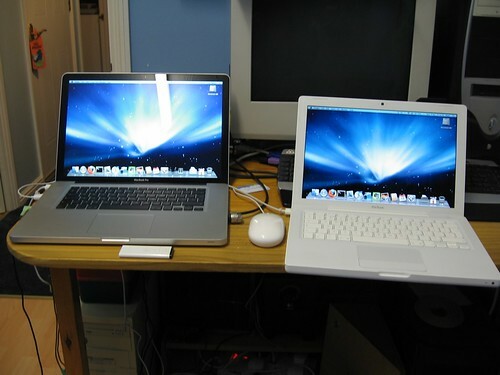 I got my original white MacBook over two years ago and it quickly became my primary machine. The seamlessness of the Apple hardware-software connection, its increased performance over my existing Linux PC and the desire to learn about OS X motivated this. Since then it has been, for the most part, my primary computer. The MacBook still is an excellent machine for what it does, but being a full-time desktop as well as a portable computer, I began to desire a larger screen for when I’m using it at the desk and to get away from the limitation of the rather pathetic Intel GMA 950 integrated graphics. So to address these issues and erm… continue my investment into computing (nothing to do with the fact that the new Pros are just, really, nice) I went out and bought the new 15″ MacBook Pro. I got the middle model, with a 2.66 GHz Intel Core 2 Duo, 4GB RAM and the dual GPU Nvidia GeForce 9400M (for battery life) and Nvidia GeForce 9600M GT 512 MB (for performance). I’ve had it just hours, but I love this machine! NOTE: for the latest release of DfontSplitter, please link to https://peter.upfold.org.uk/projects/dfontsplitter. The software development wheel has been turning again and I can now announce DfontSplitter 0.2 for Mac OS X.
DfontSplitter is a program which allows you to convert, or split, a Mac OS X .dfont font file into one or more TrueType font files (.ttf). TTF files are much more portable than this Mac-specific format. This new release sports an entirely new interface built in Cocoa. It is a great improvement over the previous AppleScript interface which required a lot of unnecessary clicking and was generally quite horrible. The new interface also supports batch converting; you can drag several dfonts into the sources list and convert them all at once. To download, please go to the DfontSplitter project page. If you’re running the excellent Twitter client TweetDeck on Linux, specifically with the KDE desktop (here version 4.1.1), you may run into a problem where when you start the program, the TweetDeck window is just blank. The buttons at the top and bottom appear, but there is nothing in the window. 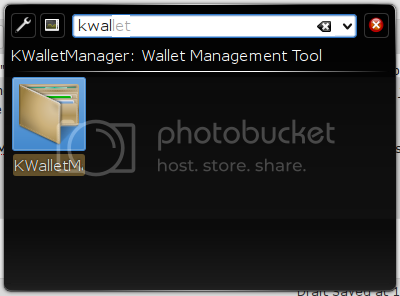 To solve this problem, first launch the application KWalletManager by pressing Alt-F2 and typing in kwallet. It should be the first result, so press Enter to start the application. After KWalletManager is running, start TweetDeck again and you everything should work as normal.